Looking for ways to help your ticker during American Heart Month? 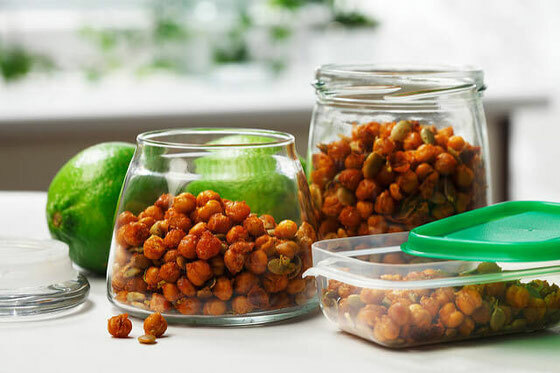 Use these tips to add a heart-healthy boost to your meals and snacks! Thanks to the folks at the CanolaInfo for sponsoring this blog post. All opinions, as always, are my own. February is American Heart Month, a time to embrace lifestyle changes that help keep our tickers healthy. Heart disease runs in my family—both of my grandfathers passed away from a heart attack, and two of my uncles have had heart attacks—so this topic is very personal to me. Dig into a variety of healthy foods. This includes fruits, veggies, whole grains (like brown rice and oats), low-fat dairy, lean poultry and fish, nuts and legumes, and healthy oils (like canola oil). Eating a variety, especially of fruits and veggies, may help you have a healthy heart—and a healthier heart may reduce the risk of heart disease and stroke. Limit saturated fat. You can do this by choosing lean cuts of meat, eating reduced-fat dairy, and baking, broiling, or grilling instead of frying. Keeping saturated fat in check may help lower cholesterol levels. Avoid trans fats. These fats raise “bad” LDL cholesterol levels and lower beneficial HDL cholesterol levels. They’re added to some packaged foods, so read ingredient labels to keep foods with partially hydrogenated oils out of your shopping cart. One of my favorite heart-healthy ingredients to use in my kitchen is canola oil, an oil that’s low in saturated fat. In fact, canola oil has the lowest saturated fat and the most plant-based omega 3s of any common cooking oil! Plus, canola oil is a great vehicle to deliver other healthy foods to the table, such as veggies and lean proteins. Looking for inspiration for cooking with canola oil? Here are a few of my favorite recipes. 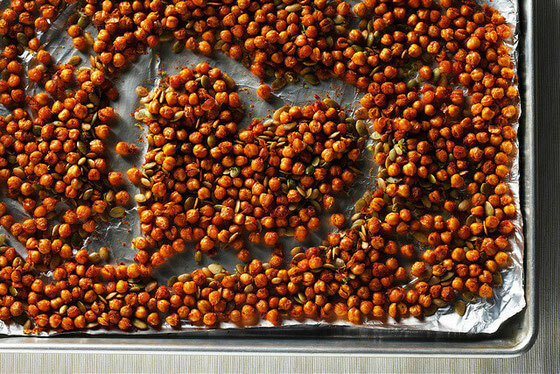 These crunchy chickpeas and pumpkin seeds are so delicious! They’re tossed with canola oil and a mixture of paprika, cumin, garlic powder, and lime zest. Snack on them, or add them as a crunchy topping to a salad in lieu of croutons. 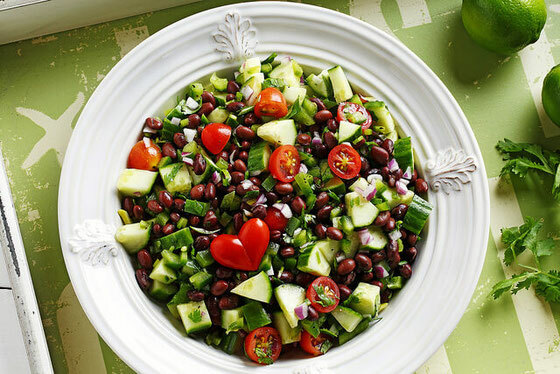 Looking for a quick-prep, delish salad? 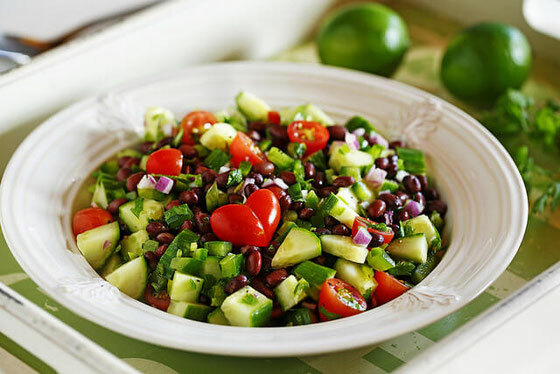 This one features protein-packed black beans, along with veggies and cilantro. It’s tossed with a mixture of canola oil, cider vinegar, and lime juice, and lime zest. 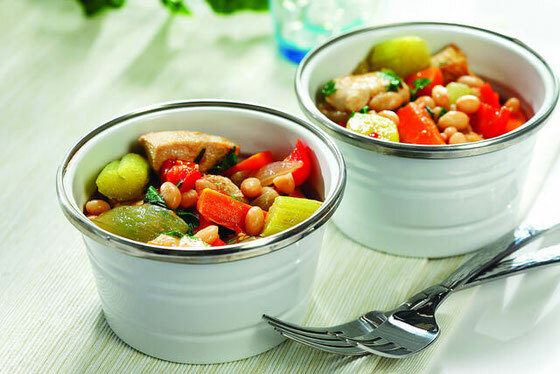 This one-pot meal provides multiple servings and offers a bounty of veggies (sautéed in canola oil! ), along with fueling navy beans and chicken breast. If you’re vegetarian like me, you can swap the chicken for a plant-based protein, such as seitan. What are your thoughts on this topic? How do you eat for heart health?